As part of the evening's entertainment, Italian-American tenor Roberto Iarussi performed the national anthems of Italy and the United States for the guests. Mr. Iarussi, who is regarded by many as the most important Italian-American tenor since Mario Lanza, also sang "I Believe," from his new album of the same name, recorded with the London Symphony Orchestra and produced by Grammy-award winner, Jorge Calandrelli. Ambassador Bisogniero presented his credentials to the president of the United States and assumed the functions of Ambassador of Italy to the United States on January 18, 2012. Prior to being named ambassador, he was NATO Deputy Secretary General, responsible for a variety of security and strategic issues. 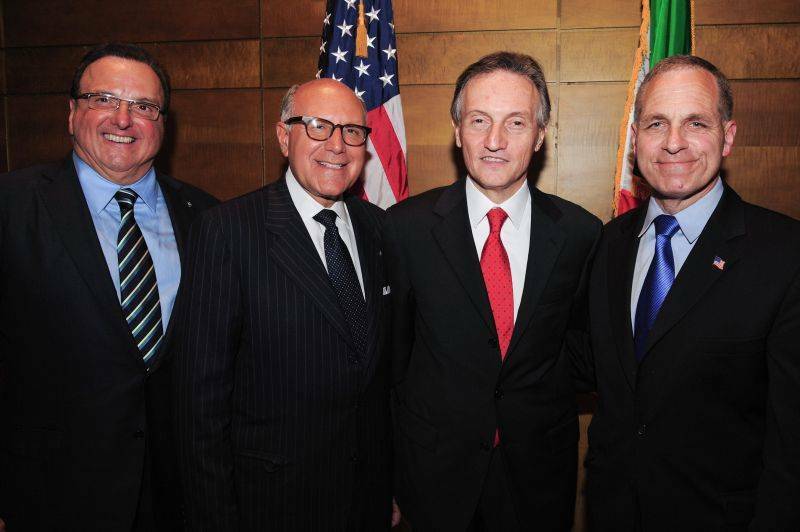 The National Italian American Foundation (NIAF) is a nonprofit organization dedicated to preserving and promoting the heritage of Italian Americans. Visit www.niaf.org.